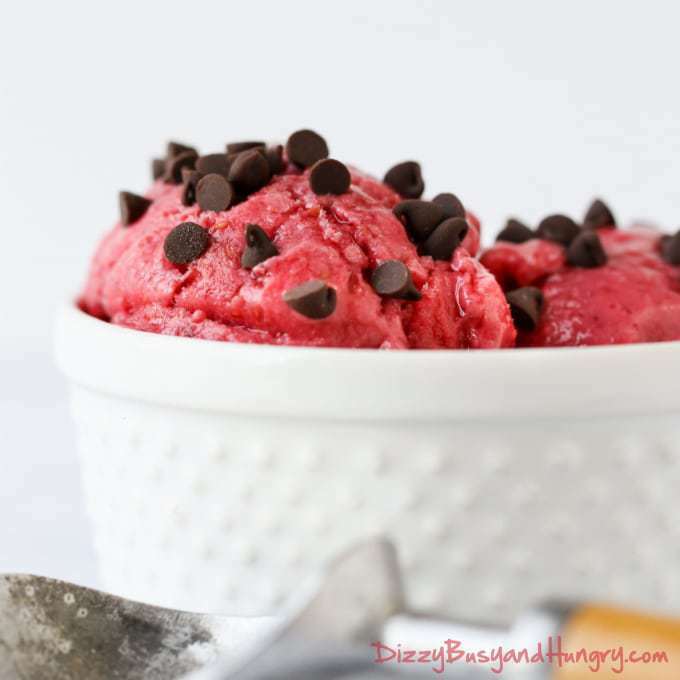 Raspberry Frozen Yogurt | Dizzy Busy and Hungry! Yes, you can make your own fruity frozen yogurt! Recently, Thing 1 told me about a method of making your own banana ‘ice cream’, just by using a frozen banana and running it through the blender or food processor. I tried it, and it really works! So I thought, hey, this could be done with other fruit! I played around a little with this, because at first I was just ending up with really cold, mushed up fruit. Ha! It was yummy, but not quite the frozen treat I was seeking. Then I got an idea to add some yogurt and a couple of other ingredients and, wowza! 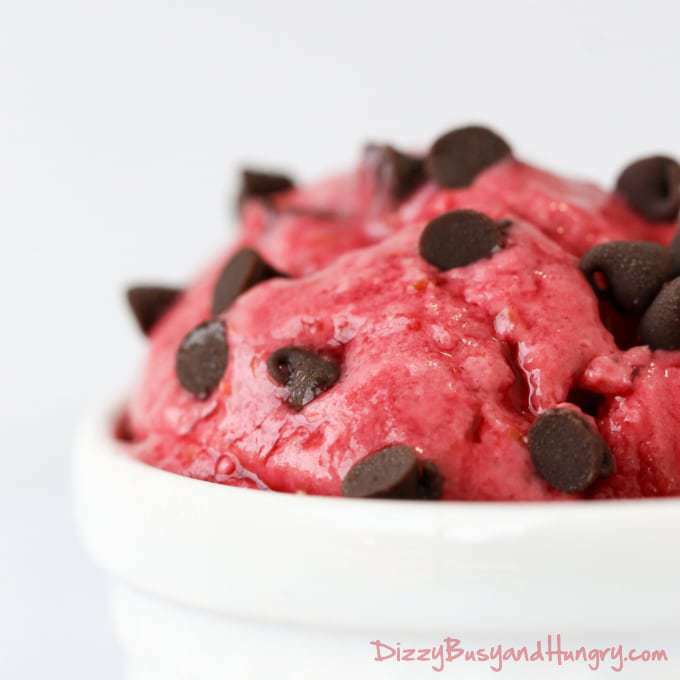 In less than 5 minutes, I had a delicious frozen yogurt treat! 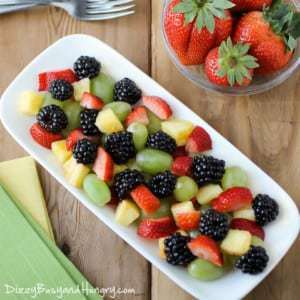 You can do this with any frozen fruit, so if you like strawberries or blueberries or mangos, just substitute those for the raspberries. You can also do fruit blends. Strawberry Banana, anyone? How about Cherry Berry? There are so many delicious flavors you can combine. What interesting blends would you like to try? Be creative! 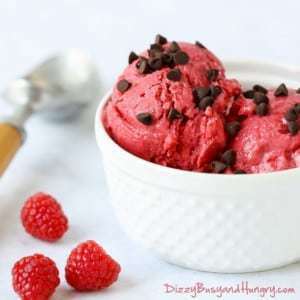 Serve immediately for a softer frozen yogurt, or freeze in a covered container for about 3 hours for a firmer texture. Looks so good and refreshing! Thanks for sharing with SYC. 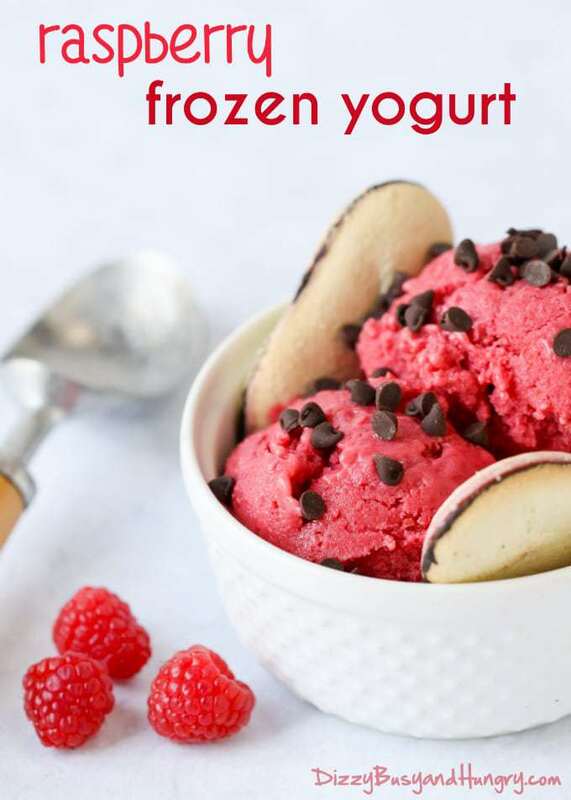 Wow, this raspberry froyo looks so yummy! 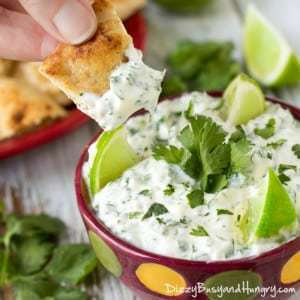 I want to make this for a healthy summer treat. Stopping by from the #HomeMattersParty linky.